A man has admitted murdering his wife in a "brutal attack" in their home on Boxing Day. 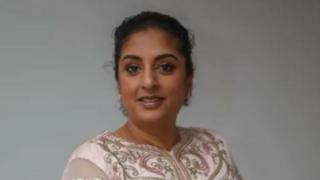 Angela Mittal was found dead at the property in Parker Close, Shinfield, Berkshire, after being stabbed in her neck and chest. The 41-year-old was described by her family as a "kind and generous person who truly lived life to the fullest". Her husband Laurens Brand, 47, will be sentenced on 10 May at Reading Crown Court. Thames Valley Police said officers found the victim dead after being called at about 05:40 GMT. Det Insp Mike Roddy said: "I would like to extend my sympathy to the people who knew and loved Angela Mittal.